A popular clothing retailer in San Francisco is being sued over allegations the company violated the state's Civil Rights laws by adopting an English-only policy in the store. The retailer, Forever 21, did not allow employees who are native Spanish speakers to speak Spanish at the store, according to the lawsuit. The lawyer for the plaintiffs said the workers were not allowed to speak Spanish in many areas of the store, and that when they were hired it was clear they were limited English speakers. 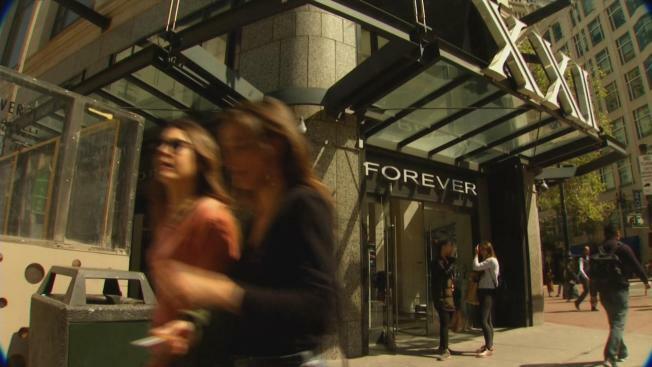 The workers were hired at the Forever 21 near San Francisco's Union Square as maintenance associates and later moved to cashiers. The employees sought legal help after they say they had a number of run-ins in the break room, stock room and on the store floor of being told to speak English and not Spanish. The employees said after complaining their hours were reduced. The workers then went to La Raza Centro Legal and filed a complaint with the Department of Fair Employment Housing over a violation of the Fair Employment and Housing Act.